Life at 7000 feet: Well, hello! I was in Arkansas for a week. And I intentionally didn't take my laptop with me. I think there's such a thing as being too plugged in. I have some thoughts stirring on that topic that I want to share when I get what's rolling around in my brain sorted out a bit more so lucky you! Anyway, no laptop meant no blogging. Not that there was much time to blog. I spent a lot of time with this little guy. He's sooooooo cute and soooooo good. And he sleeps with at least one hand up by his face unless he's swaddled. It's adorable. I also got to spend time with family. I love my family. 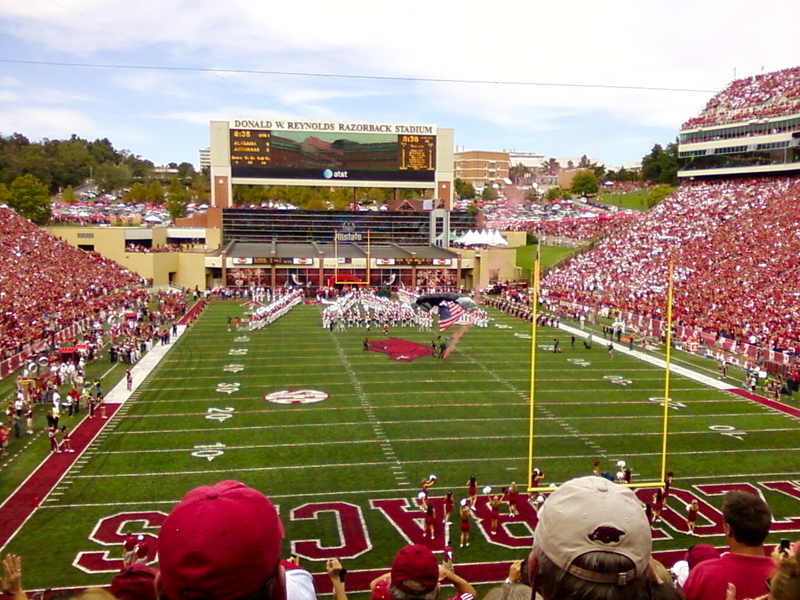 And I love the Razorbacks, but what a disappointing loss to Alabama last week. Ugh. I got in late Wednesday afternoon about an hour before I had to be at church and I've pretty much been on the go since. Sadly, this weekend is feeling kinda full instead of long and lazy which is how I prefer weekends to feel. It's full of good stuff though so I'll roll with it. So much to say and so little time to blog. Y'all are going to get an earful when my pace slows a bit. I'll get it mailed to you this week friend. Congrats!!!!!! Happy Weekend everyone. I'm glad that you enjoyed your time. And Welcome back!!! What a cute little guy! Glad you had a great time and made it home safely. I hear you on being unplugged. I haven't been able to get on as much, and I've been able to get a lot more done around here. Looking forward to hear your thoughts on the topic. God bless and happy weekend to ya! Meredith, he is just precious!!!! Welcome home! Glad you had a wonderful trip. I may have prayed for the Hogs to win - specifically for your enjoyment (and a nice by-product would have been joy for the entire state:)) At least it was an exciting game though, huh? More pics of the cutie pie, please! He is SOOOO cute! Bet you miss him already! And the whole time I was watching that Hogs game, I was thinking about you being there. It was heartbreaking. Ugh..still makes me sick to think about it. Glad you had a great week with your family!! He looks so much like Margaret! Are the new mom and dad just head over heels with this little boy? So funny that this time last year they were kidless. I bet now they can not imagine their life without him! Makes me want some more! That hand up by his face is soo cute. Hey, you know how crazy my life has been, no worries here about blogging or NOT blogging! Breathing and eating are good! Congratulations to Margaret!!! How sweet!! He's so cute. I'm glad you had a great trip. I didn't look at a computer for five days straight last week. It was kinda' nice. Your nephew is beautiful - Congratulations! So glad you had a great trip back down! 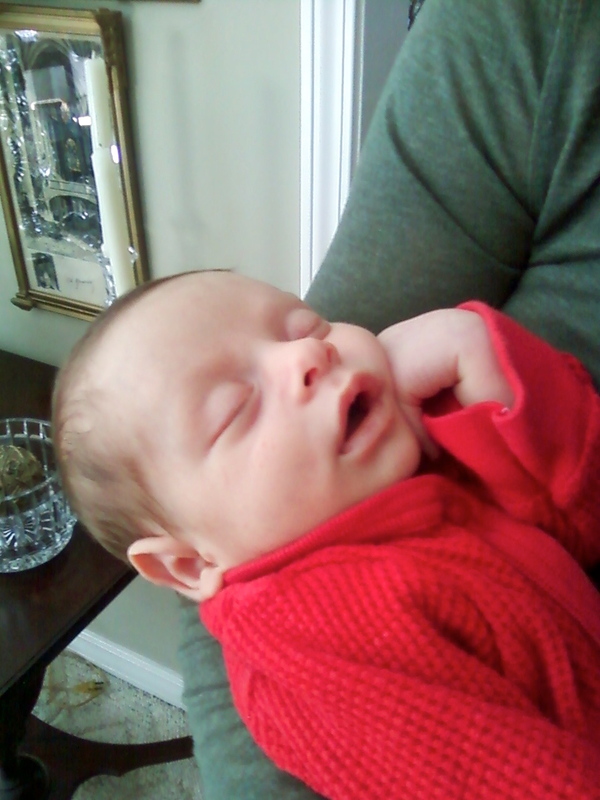 I soooo rooted for Arkansas to stick it to Bama, I'm so sorry :( And my goodness, your new nephew is just so gorgeous! that little guy is dahling! catching up on blogs is VERY REWARDING!! !